Yet Another Impulsive Haul (Le Bunny Bleu, Nike, Stradivarius) | Vanity and Everything in Between. I was practically out the whole day. I was in the mall for more than 12 hours! So much so for a girl, huh? Not. Seriously, I had no plans of buying anything. No plans. 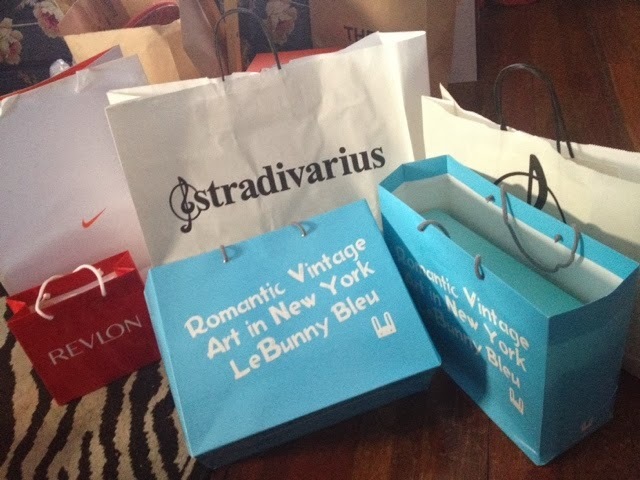 But I left the mall with these paper bags in tow. More or less PhP15,000 poorer but more than happy. As always. Yes, we are all superficial at times. Click read more to see the haul! 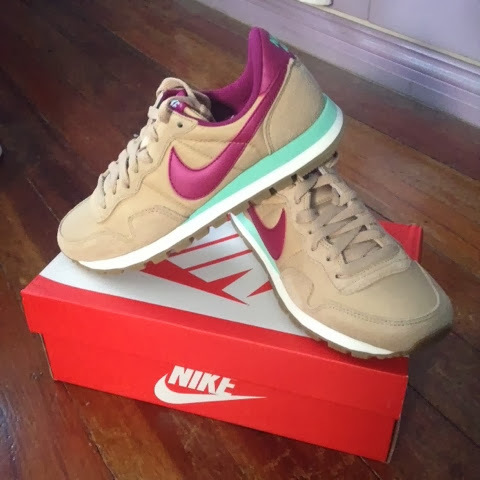 I fell in love with these kicks the first time I saw it at Nike BGC. It was after I ran and we decided to rest by visiting stores. I wanted to buy it right then and there but had to stop myself. I just recently bought my Nike Flyknits then. I couldn't stop thinking about these kicks though! So, when I saw that this was on sale at Podium, gaaaaah I bought it! I've heard about Le Bunny Bleu from either Tricia Gosingtian or Camille Co. I've passed by their stores before but never really went inside. I thought this is a local brand. When I was in Shangri-La last night though, I decided to check their store (it was twice the size of their store in Glorietta). I was kinda pissed at myself for not checking their store way back. Their shoes give a very feminine and vintage feel! I love it! Not to mention that they feel so comfortable. This brand is apparently from New York. Hmm, hits my feels! 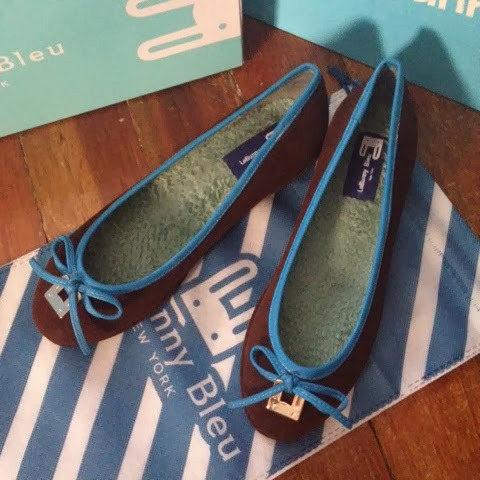 Oh, Le Bunny Bleu, I am in love with your shoes! Will definitely go back to purchase more! Oh, btw, they don't really have heels or flatworm shoes. Most of their shoes are flat shoes. I've been looking for flat shoes recently because of my feet and knee problems. 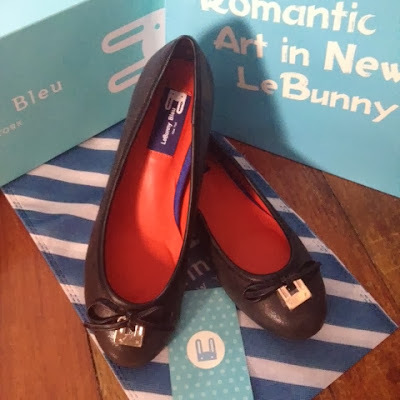 Le Bunny Bleu is an answered prayer! 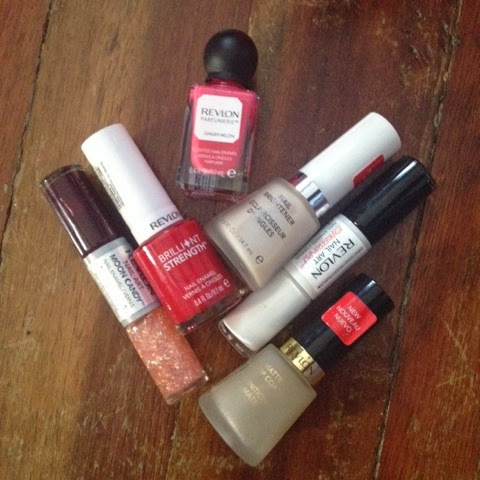 This was from the Revlon Nail Art Event hosted by BDJ. I actually thought we weren't allowed to take it home so I was glad when we were told that the nail polishes are ours to keep! I also bought Fall/Winter clothes from Stradivarius. It wasn't on sale but I'm just really into petty coats. Didn't take a picture of it though just because. Hehe. It was definitely something I couldn't pass on because the trench coat that I bought in Zara a few years ago was PhP6,000! Then I saw a similar one at Stradivarius which costs PhP1,990! So I bought two! The other clothes I bought are for work. I miss blogging, too! Bust lang talga so bra!